La conférence, qui a eu lieu chaque année depuis 1988, fournit aux émissaires Chabad Lubavitch, l'occasion de discuter des questions vitales qui touchent leurs collectivités, d’étudier ensemble et de se soutenir mutuellement. 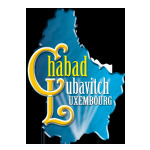 Le nombre d'émissaires Chabad Lubavitch augmente chaque année depuis que le Rabbi Menachem Mendel Schneerson, leader du mouvement Chabad Lubavitch, a commencé cette initiative en 1951. Chabad Lubavitch est aujourd'hui la plus grande organisation éducative juive dans le monde avec des centres dans 48 États des États-Unis et 81 pays à travers le monde. Vidéo d'introduction projetée au banquet. Prime Minister of Israel Nethanyahu Blessing to the Shluchim. Rabbi Moshe Kotlarsky, Vice-Chairman of Merkos L'Inyonei Chinuch, greets the crowd at the 2012 International Conference of Chabad-Lubavitch Emissaries. Rabbi Eli Rosenfeld of Lisbon, Portugal asks why our forefather Jacob had to go so far from home in order to start his life. Mr. Steven Solarsh, a prominent entrepreneur and founding member and supporter of Chabad of Strathavon, South Africa, addresses the banquet at the 5773 Conference of Shluchim. Rabbi Ari Shishler, Director of Chabad of Strathavon, South Africa, represents his fellow Shluchim and delivers the keynote address at the Kinus Hashluchim Gala Banquet. He speaks on the theme of this years's convention: the 200th anniversary of the Alter Rebbe's passing and the 70th anniversary of the publication of the Rebbe's book Hayom Yom. Chief Rabbi Yisroel Meir Lau shares inspirational moments of his longtime and special relationship with the Rebbe during his decades-long service in the Israeli Rabbinate. The shluchim roll call, a yearly institution at the International Conference of Chabad-Lubavitch Emissaries, has been named to honor the illustrious philanthropist, Mr. Sami Rohr, who passed on early this year.